I don’t recall how I came across this recipe, but I believe it was from the Smitten Kitchen Facebook page since they are a regular in my feed. This tomato salad recipe stuck out because we had a bag of cherry tomatoes in the fridge for about a week or so and some home made bread in the freezer waiting to be used for breadcrumbs or croutons. With basil growing in the back yard and all but one ingredient already in the house, it was the perfect cheap side dish for us. We varied the recipe ever-so-slightly since we recently ran out of shallots (which we bought SUPER-cheap at the neighborhood Asian food store – $2.50/lb), used all red cherry tomatoes, added some olives and we made the crouton topping from a left over homemade loaf of rye bread. But, it’s a really simple recipe and uses a pretty standard base, so, you can’t really mess too much up. What I love about cheap recipes using ingredients already on hand and not bought for the specific purpose of a recipe, is that they seem free. Not that I wouldn’t use those ingredients up on something else, it just seems overly convenient. I do love a good salad recipe and when it has fresh, in-season tomatoes, it’s bound to be a keeper. If you’ve never done it before, you can find some really nice guides on how to grow tomatoes so don’t be afraid! Combine the acidic flavor of tomatoes with olives and red wine vinegar, and it really puts a summery zip into a meal. 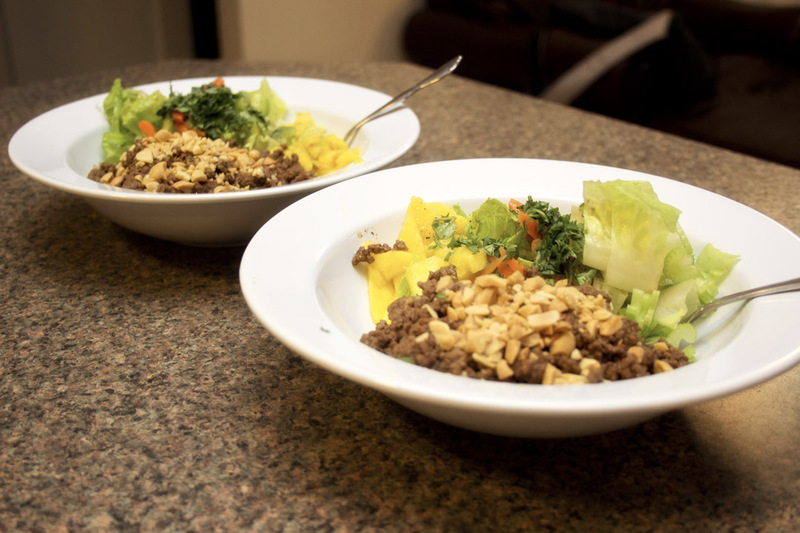 Salads also tend to be quick to assemble since there’s hardly any cooking time required but prep-time can be a little daunting depending on how many ingredients there are. But, this is also another reason to love this recipe: it has very few ingredients and very little prep time. Hooray! In a medium-sized mixing bowl, place the bread crumbs, onion, garlic, 1/2 tsp salt, pepper, 2 Tbsp of olive oil and Parmesan cheese. Toss to evenly coat the crumbs. Spread crumbs onto a rimmed baking sheet and bake for 12-16 minutes, flipping the crumbs over once. Once they are golden brown, remove from the oven and let cool on the baking sheet. Meanwhile, slice all of the cherry tomatoes in half and place on a large plate, cut side up. Sprinkle with chopped olives. In a small bowl, whisk together the remaining olive oil, red wine vinegar, 1/2 teaspoon of salt, and a pinch of sugar. Drizzle mixture over the tomatoes and olives. 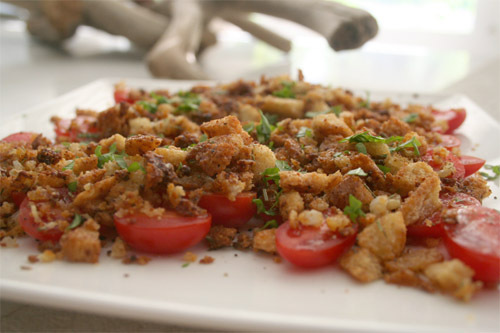 Sprinkle the cooled bread crumbs over the tomato-olive mixture, top with basil and serve immediately. Lentils might be the most underrated food, for the American diet, that is. 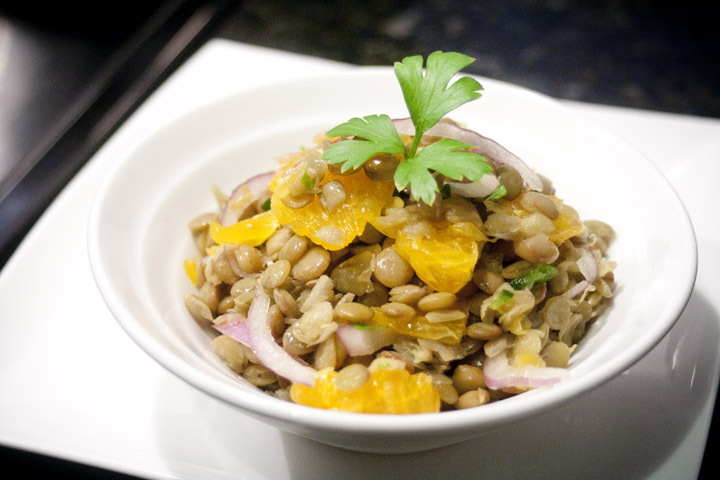 You’ll find lentils in diets across the globe, but not often in the United States. I wonder why that is since they are so cheap and healthy to boot. It’s crazy how a third world country could eat healthier than a rich and powerful western nation. I guess there’s always hope and I’m thankful I’ve been exposed to proper nutrition to make a decision about my diet and improve my life overall. With a cheap food like lentils, it’s amazing that people choose non-nutritious foods that just toxify the body. I’ve made soups with lentils before but never really thought to use them in as a primary ingredient in side dishes or salads, until recently. Now I’ve opened up my menu of lunches and dinners considerably. In fact, this new staple cheap food of mine, when paired up with brown rice, the make a perfect protein (which is defined as a food with all nine essential amino acids) and these things are pretty versatile. Some of my absolute favorite lentil recipes come from this site and I’m sure I’ll be posting more as I explore with lentils. 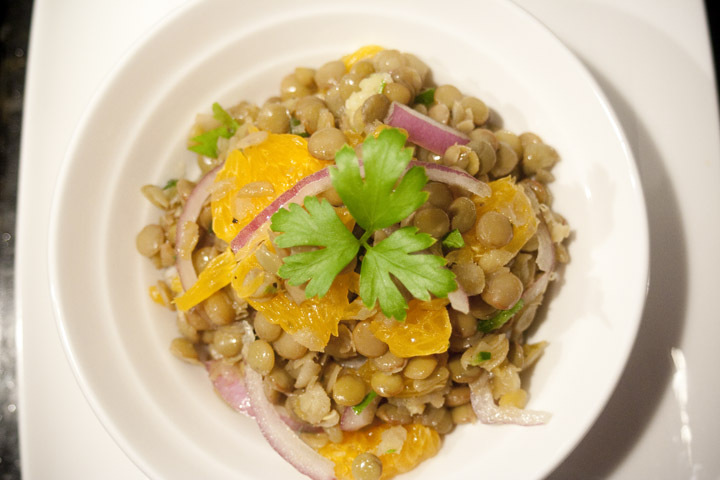 The recipe below combines the clashing flavors of oranges and red onion for a perfect dissonance on top of the Indian Garam Masala seasoning and hearty lentils. 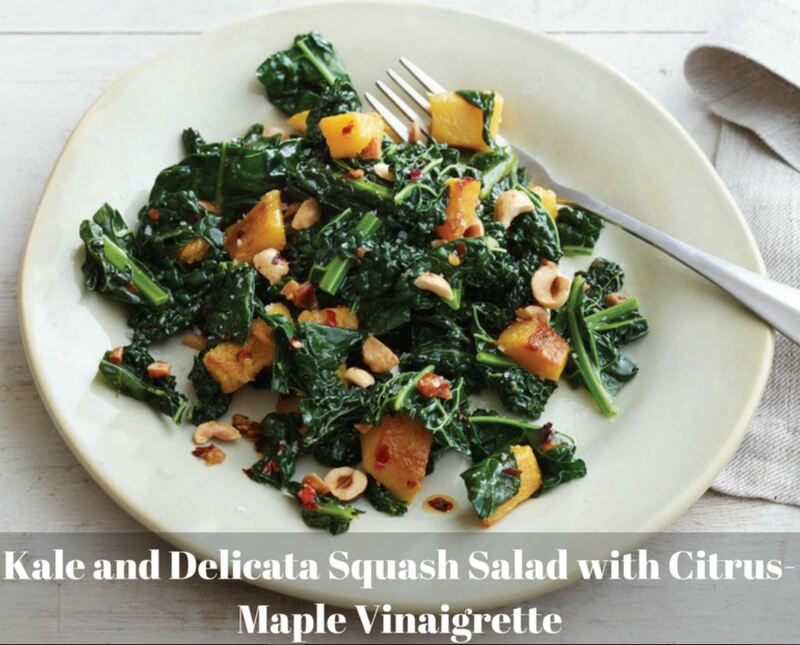 It’s great as a side dish or as a larger portion for a full lunch. Prepare the lentils as directed on the package (use chicken or vegetable stock in the water for additional flavor). Toss lentils in a mixing bowl with remaining ingredients until well coated and salt & pepper to taste. Refrigerate for at least 2 hours before serving to allow flavors to blend evenly. If there’s one thing Cheap Food Here is set out to do, it’s get as far away from the stereotype that cheap food is boring. Many think that cheap food is unhealthy or uninventive just because you don’t have the ‘luxury’ of spending an arm and a leg when you’re shopping. The truth is, salads, for example, CAN be boring and uninventive, but a lot of times you just need a great homemade salad dressing to jazz things up a bit. One of our passions at Cheap Food Here is with salad dressings that perfectly balance the oil and vinegar mix in vinaigrettes adding fresh fruit or herbs that provide a natural freshness bottled dressings can’t. Figuring out alternative ways to make a great, healthy, flavorful salad often starts with a great base. Ice berg lettuce can be a bit tasteless, but has a great crunch, so someone along the way figured out that cutting the head into fourths gives it a fancy style and thus named it a wedge salad. What a perfect cheap salad that is marketed brilliantly. Green leaf and red leaf lettuce add great color and texture with a somewhat delicate texture to contrast the crunch of veggies like cucumber, bell pepper and onion. Romaine on the other hand has crunchy with soft and a whole lot of vitamins and have done wonders with the Caesar Salad. But don’t forget about cabbage as an option for a base. There are a ton of health benefits of cabbage, but most importantly, Cabbage has more vitamin C than oranges do per serving, is high in fiber and helps with brain function because of it’s high iodine content. The texture is thicker and hardier than lettuce and has a great distinct flavor which pairs well with ingredients you might not expect to find in a salad. 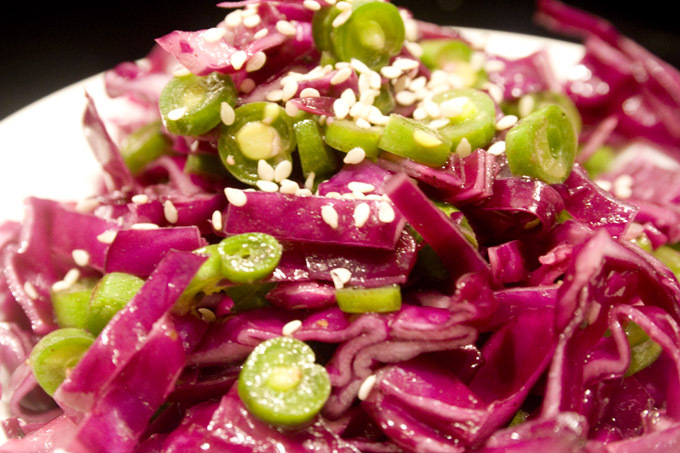 The recipe below combines three unique flavors, giving the salad an Asian flair that pairs well with fish or chicken dishes, like seafood empanadas or chicken empanadas. Enjoy it with a glass of white wine and tell me your thoughts. Thinly slice the cabbage until you have a pile of shreds similar to coleslaw. Place into a large glass or wooden bowl. In a small pot with boiling water, blanch the grean beans for 2 minutes and then plunge into an ice bath to stop the cooking. Then slice the green beans thinly into rounds and place in the mixing bowl with the cabbage. Add the remaining ingredients, toss until evenly coated and refrigerate for 30 minutes to 3 hours. This is a great cheap vegan salad that was inspired by a recipe book created by a naturopathic doctor here in Costa Rica. The photos were nice in the ebook, but the recipes didn’t always call for the correct ratios or explain the directions very well. This could be a matter of translation issues but I decided only to ever use the book as a guide for myself. My first clue was that several recipes called for an insane amount of raw garlic, and believe me I love garlic, but I could tell it would have ruined the dish. Salads are always a favorite of mine probably because of the rich, fresh taste of raw produce and the chance to play around with dressings. Plus, my husband and I have been on a broccoli kick as of late, which has shaped our dinners quite a bit. It isn’t unusual for us to cut up a head of fresh broccoli, steam it and throw some olive oil, garlic, herbs, salt and pepper and just down it for a full meal. 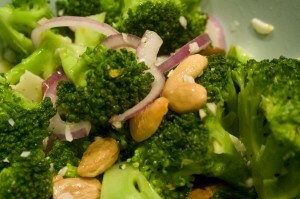 So, when I found this recipe for a broccoli salad, I was hooked. It reminded me of a previous post of a roasted broccoli pasta salad, which I love and make frequently. So, here is the adapted recipe. 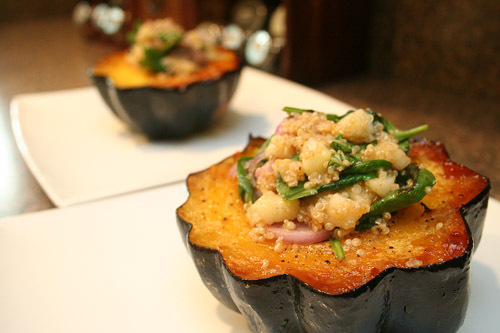 It’s easy, quick and delicious so don’t hesitate to make it and let us know what you think. Is it better than the broccoli pasta salad? Heat a medium-sized pot to boiling and quickly blanch the broccoli for 1 minute and then plunge into an ice bath. Toss broccoli in a large bowl with the remaining ingredients. Chill for 30 minutes to several hours and toss again before serving.